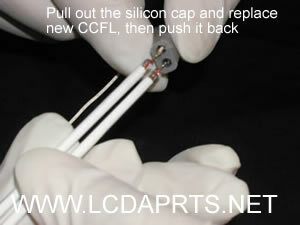 Please go through this procedure before you replace the backlight lamp, especially, if you have never done it before. 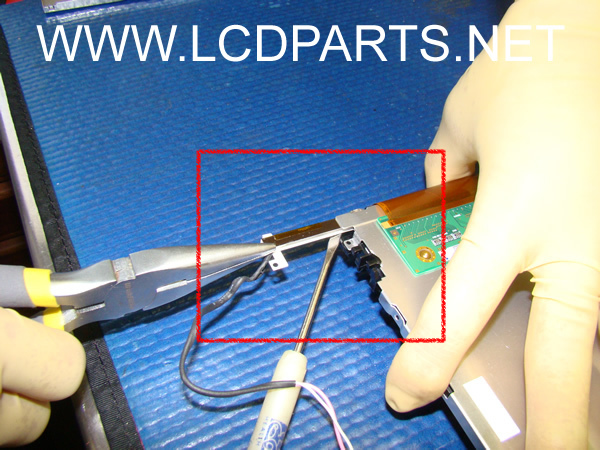 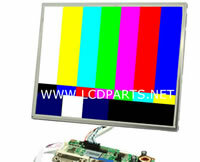 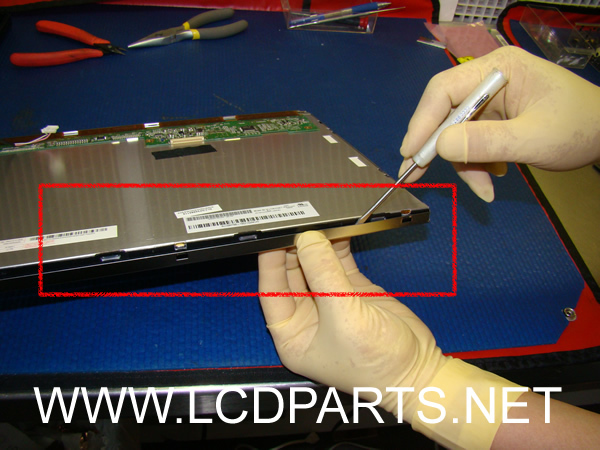 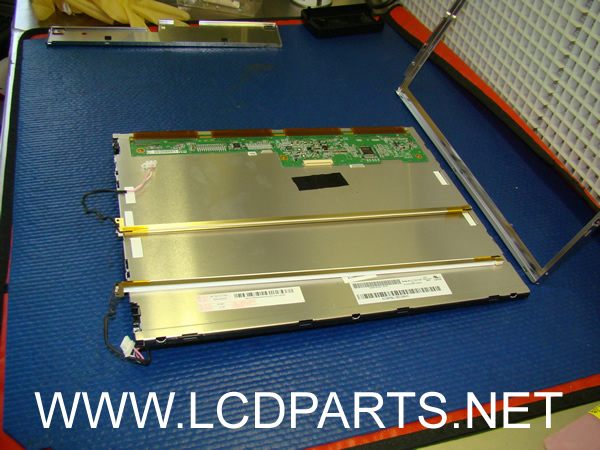 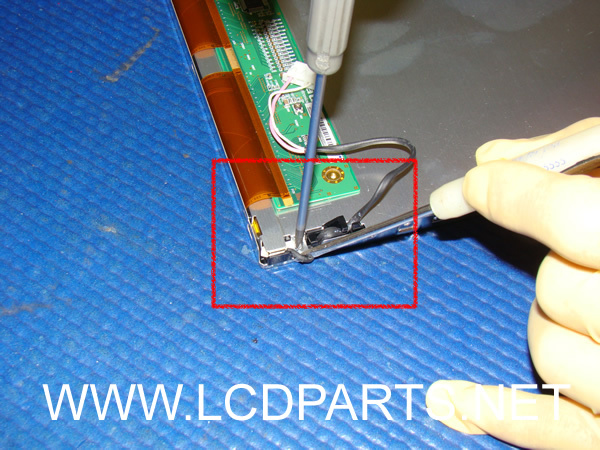 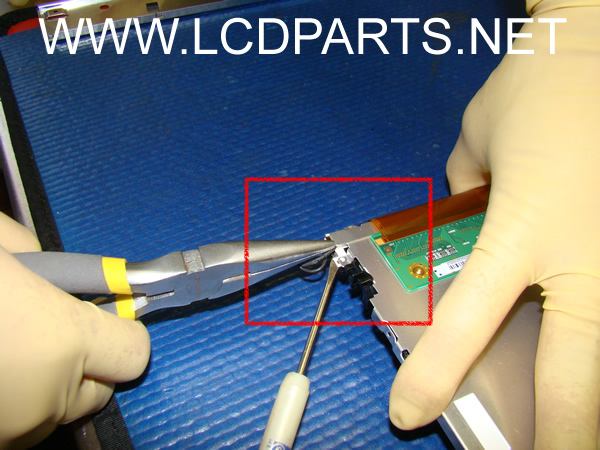 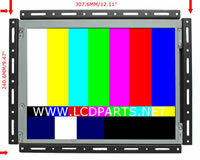 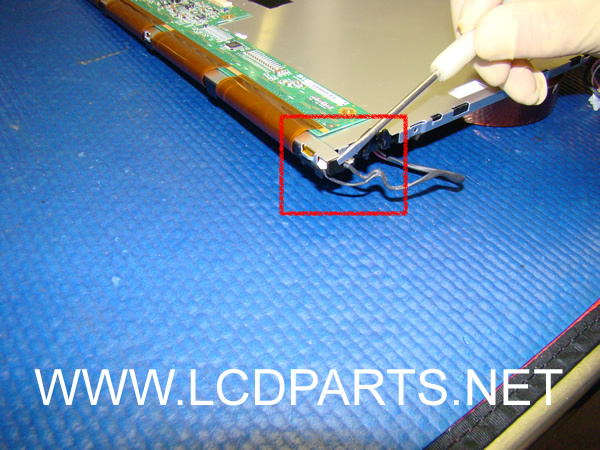 This instruction is based AUO M150XN07 15” LCD panel. 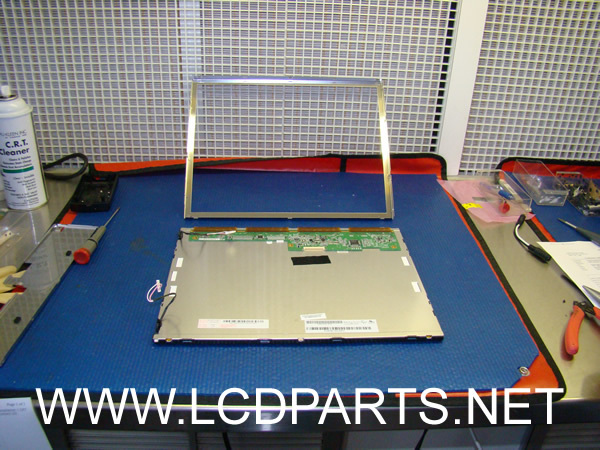 First remove the metal cover. 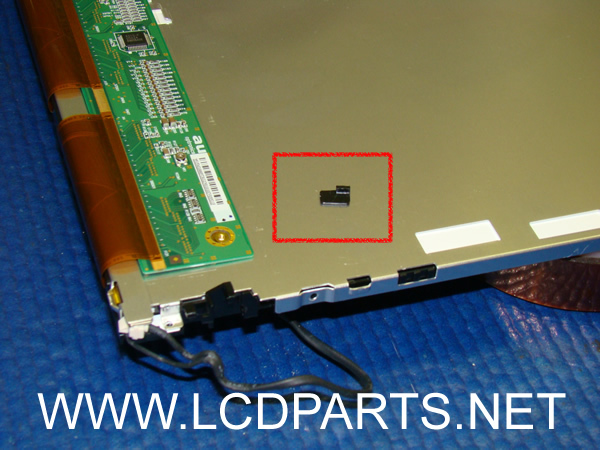 Remove teh small plastic that cover reflector. 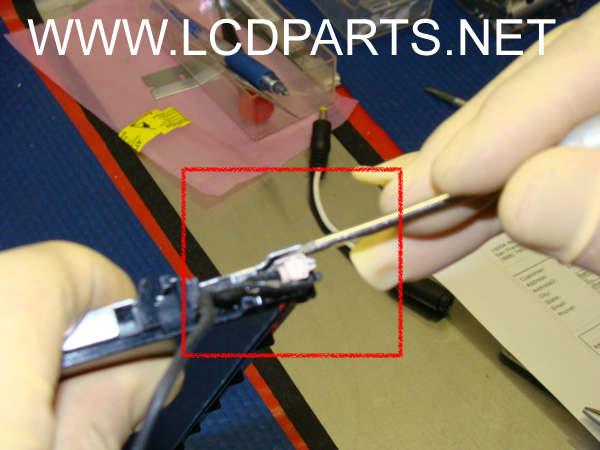 Loosen the wire that is blocking the screw, then remove screw that hold reflector. 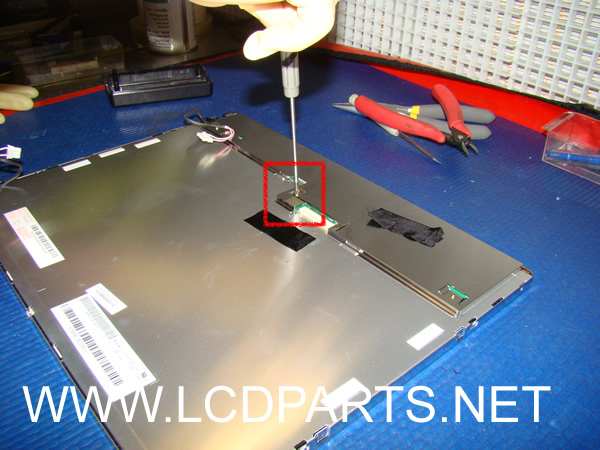 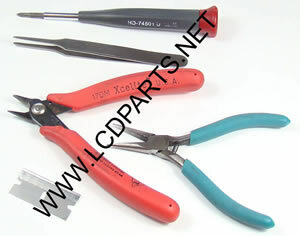 Insert a small flat head screw driver on the aluminum base as shown on photo. 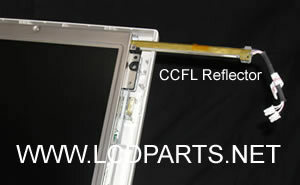 Slowly pull out the reflector as shown on photo.